I often receive inquiries regarding an association’s ability to restrict trucks. 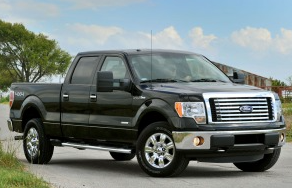 Some overzealous board members believe that pickup trucks are innately commercial. In fact, I recently had a debate with a board member because he was sure that the size of a truck made all the difference. In the attached article, the association’s attorney said the case “Is a matter of restrictive covenants, and interpretation of those covenants.” He went on to say that a pickup “is not a passenger vehicle by definition.” Seriously? A dual-cab truck that seats 6 people is not a passenger vehicle? I do not agree, and that was not the intention behind the restrictions on trucks that many associations have in their CC&Rs. The intention was to keep out the trucks that have graphics on them advertising a company, the landscaper or contractor’s truck with ladders on it, or the plumber’s van that advertises his business and has pipes on the side. In California, I think it is safe to say that no court is going to restrict a plain, unmarked pick-up truck as being a commercial vehicle that should be prohibited, and would consider a truck, especially one that has a double cab, as being a passenger vehicle. It is important to keep in mind the purpose for the restriction or prohibition on commercial vehicles. The purpose is to preserve the residential character of the neighborhood. Most people do not want to come home and look at their neighbor’s plumbing or delivery truck or some other vehicle that is purely commercial in nature. They do not want to come home and see a truck that has the name of a company on the side or other indicators that the truck is used for purely commercial purposes. The truck that is depicted in the photograph in the article has no observable indications that it is used for commercial purposes, is not the kind of vehicle that would or should be restricted from a community. My bet is that the association will not prevail in this case (which has been pending since 2013!). At least, I do not think that association would prevail in this lawsuit in California. We will be watching to see what happens.